This expanded la reina model has everything you are looking for: 3 bedrooms, 2 bathrooms, added den/office off the master bedroom, enclosed rear patio, extra large 2 car garage with driveway, inside laundry, central air/heat, gated front court yard, fresh paint, smooth ceilings, 6 panel doors, all located in a wonderful location on a small, quiet cul-de-sac. The large living room with wood flooring & fireplace overlooks the front courtyard. The dining room also has wood flooring & access to the enclosed patio. 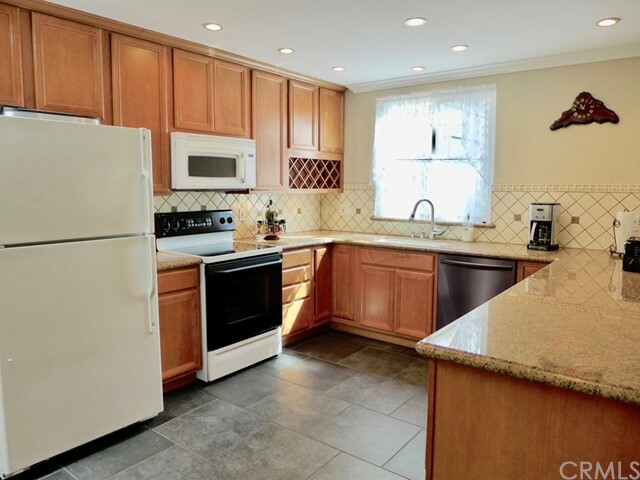 The kitchen has been remodeled with granite counters, wood cabinetry, tile floors & stainless appliances. There is a pass through window out to the granite bar in the enclosed patio. The master bedroom has a wall of closets & leads to the added office/den which also has a wall of closets. From the added office/den there is a slider to the front court yard. Both bathrooms have been remodeled with custom tile shower/tub, updated vanities & skylights. One bedroom is very large with huge closet with built ins. There are ceiling fans in all the bedrooms & enclosed patio. Grassy front yard with camphor tree. Living in the senior community of laguna woods you have access to: bus system around the community & to area shopping, restaurants, medical facilities; 5 pools & 4 hot tubs; golf, tennis, library, 7 clubhouse, 200+ clubs, 2 fitness centers, theater, horse back riding/stables, garden centers, basketball, card rooms, billiards, bocce ball, emeritus classes & more! 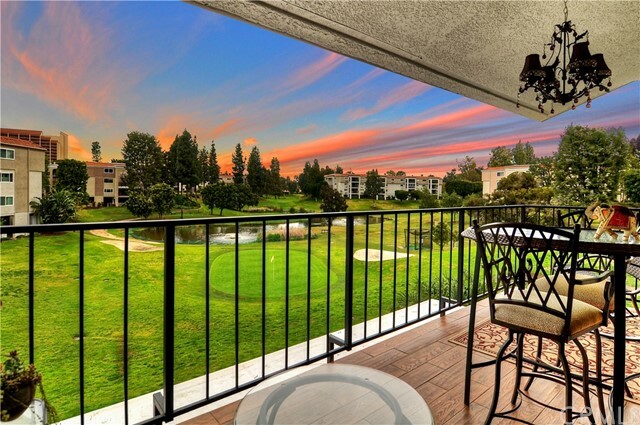 Enjoy the beautiful golf course and pond view in this upgraded two bedroom, two bath condo. Walk out your front door, and just steps away, practice your golf swing or start a round of 9-hole golf at the adjacent tee house. This upper level, corner unit offers hardwood floors throughout, newer paint, and newer appliances. The kitchen offers recess lighting, pull out pantry drawers, new refrigerator, and adjacent dining area, entertaining is easy. Sip your coffee while appreciating the picturesque scenery on your private balcony or start an art project in your glass sun room. This home includes central air and heat, double pane windows throughout, wood fireplace, indoor laundry, plantation shutters, ceiling fans, walk in shower, single car garage with ample attic storage, and custom front glass door. 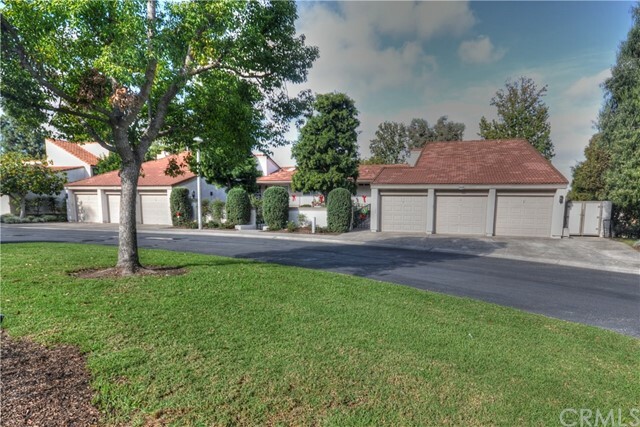 Take advance of the extensive list of amenities that laguna woods has to offer including multiple golf courses, 200+ clubs, horse trails, tennis, pools, local transportation, and more! Location! Location! Location! This top floor 3 bed 2 bath end unit perched on top of a rolling hill has a spectacular view of the mountains, irvine spectrum, great park and city lights! 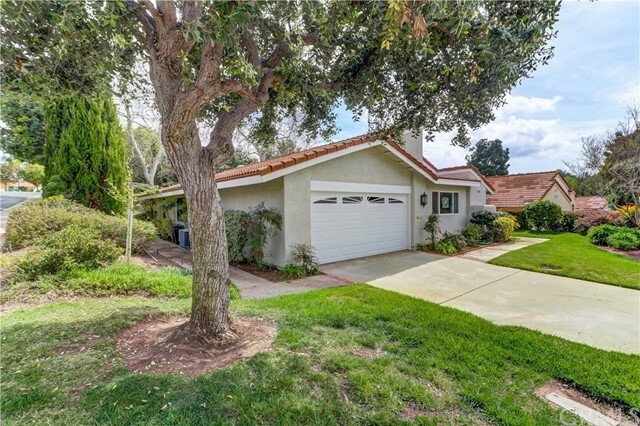 Come and see this updated home in the beautiful gated community of laguna woods village. The entire interior has been freshly repainted, with new kitchen flooring, led recessed lighting, new light fixtures in kitchen and dining room, and new hardware throughout to give it a clean modern look. Enjoy entertaining in your relaxing balcony which floats above the trees and offers amazing views. Newer dual pane windows in kitchen, bathrooms, ceiling fans. Large master en-suite with plenty of closet spaces. Very spacious bedrooms, living/dining room. Underground parking with plenty of storage cabinets. The community offers 7 club houses, 5 swimming pools, golf courses, tennis courts, 2 fitness centers, lawn bowling, horse stables, theater, library, craft workshops, more than 320 clubs & organizations as well as classes taught by saddleback college instructors. As a resident, you will be welcome to take advantage of the free bus service which serves laguna woods. The home is on the third floor of a building with an elevator and subterranean parking, and is move-in ready! Extraordinary enlarged & transformed cordoba model. 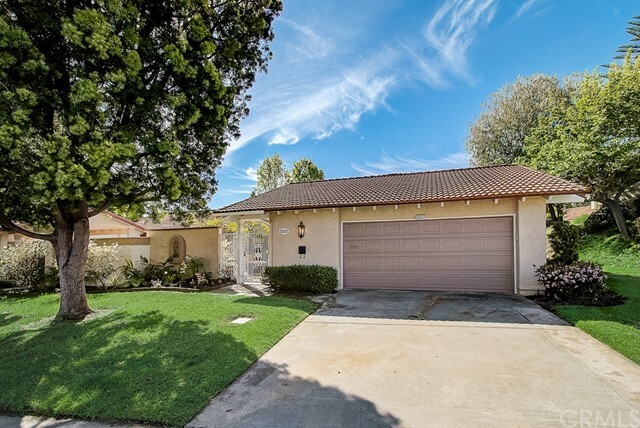 This single-story end-unit co-op is centrally located between gates 1, 2, 3 & 4, near aliso creek park and the performing arts center. It has been totally remodeled with an open floor plan using only the highest quality materials. The enlarged kitchen is an oasis for those who love to cook or bake featuring granite counters, tile backsplash and extensive cabinet and counter space. Eastern exposure and five skylights fill this home with natural light all day. The enclosed atrium has a window, easily converting it to a third bedroom. Both bathrooms have been remodeled with gorgeous tile, granite counters and glass shower enclosures. The flooring is a nicely upgraded italian porcelain tile. Upgraded moldings and fixtures. Extra storage has been added to the carport area. Take advantage of all that laguna woods has to offer with outstanding senior activities including, swimming, golf for only $10 on an 18 hole course, tennis, horseback riding, workout programs, arts and crafts, cards, dancing, bingo, tennis, bocce ball, trips and so much more. Association dues include trash, water, basic cable tv, building maintenance and fire insurance. Great location on the par 3 executive golf course. Beautiful remodel, island kitchen open concept to the living area, custom cabinetry, stainless steel appliances, granite counters, porcelain tile flooring in the kitchen and both baths. Smooth ceilings, crown molding, dual pane windows and sliding doors throughout. Tiled stall showers in both baths. 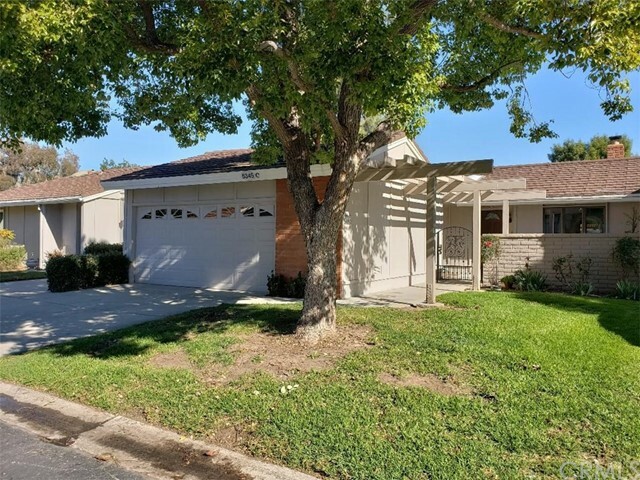 Large patio extends across the back with sliding door from the living room and both bedrooms with a view of the golf course and lots of shade trees. Great for entertaining, need more room extend the party onto the golf course. Or just enjoy your morning coffee or a refreshing drink in the evening, convenient inside laundry. A spacious 1 car detached garage. The village offers many amenities and activating:27 hole golf course as well as a 9 hole executive golf courses. Enjoy a meal at 19th restaurant or your favorite drink at the friendly atmosphere bar. There is a driving range, tennis courts, 2 fitness centers, lawn bowling, equestrian center were you can board your horse, library, state of the art theater, clubhouses, 5 pools, and walking trails. Over 200 social clubs, many craft studio's that have knowledgeable volunteers and much more! Free bus service that provides residents with transportation within the community and to local shopping centers, restaurants,and medical facilities. All this and only 5 miles from beautiful laguna beach. Stunningly reimagined casa linda model by one of the premier contractors in laguna woods, this condo in the prestigious guard gated community of laguna woods enjoys the privacy of a quiet corner location with no one above or below. It offers the convenience and ease of no stairs inside or walking to the unit. A fully equipped kitchen features quality stainless steel appliances including a wine cooler, quartz countertops and a walk in pantry. On the spacious covered patio enjoy privacy, perfect for enjoying a morning coffee, or evening glass of wine. The generously sized, luxurious master bedroom includes an en suite spa inspired bathroom with shower, featuring a wand and seat for comfort and convenience. Guests will appreciate their own bathroom with shower and tub, perfect for a luxurious bubble bath. A full size stackable washer and dryer is conveniently located in its own closeted space. Unique to this home is the hand finished texture for the walls, lending to the custom feel of this comfortable home. This is a stunning, high quality, turn key property for the most discriminating buyer. 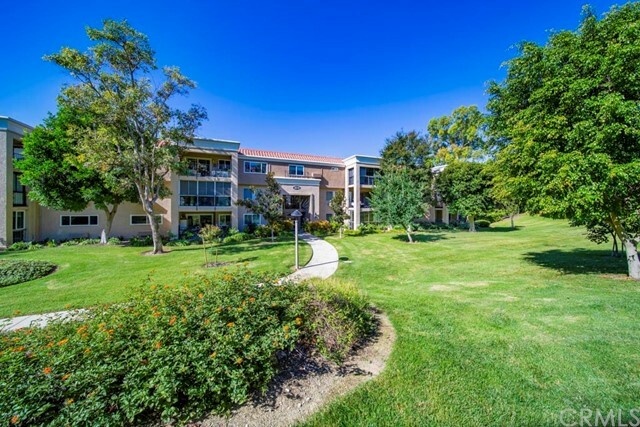 Take advantage of all the amenities laguna woods offers including golf, tennis, lawn bowling, pickleball, swimming, horse stables, and clubs to name some of few of the activities of this community. Wonderful location on quiet single-loaded cul-de-sac. Popular la quinta/catalina model - remodeled with high end quality designer touches and great attention to detail throughout. Custom gourmet kitchen features brazilian bordeaux granite, beautiful solid maple cabinetry with soft close features, large drawers for pots & pans, pantry w/roll-out drawers, lazy susans, high-end appliances - most are electrolux - oven, convection bake & roast, warming tray, upper oven micro w/mega features, side-by-side samsung refrigerator, trash compactor, recessed lighting & more. 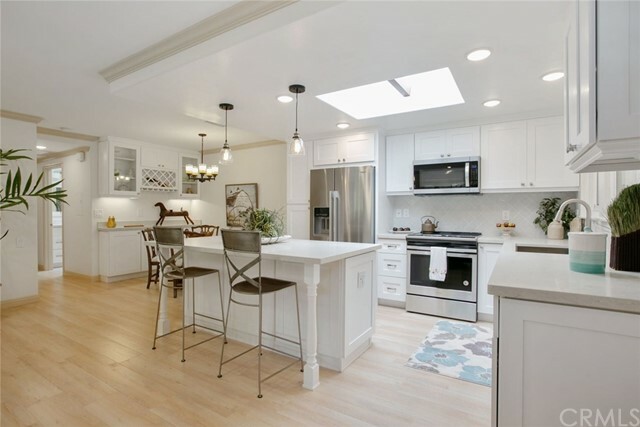 Remodeled bathrooms - master with maple cabinetry, jetted tub, marble walls, 2nd bath features walk-in shower with seamless custom glass shower door, marble walls, designer stone accents & more. Interior doors replaced, crown & base mouldings, smooth ceilings. Entry closet & walk-in closet with built-in organizers. Mirrored wardrobe in guest bath. Spacious living room with access to extra large tiled patio - approx. 450 sq feet of fab outdoor living space w/pretty plantings all around with a small peak view of hills. Detached single garage. Enjoy resort-style amenities of the active 55+ community of laguna woods village - 7 clubhouses, 2 golf courses, 5 pools, horseback riding stables, tennis, driving range, transportation system, exercise rooms, clubs, classes, entertainment & plenty of tremendous opportunities to keep you busy and involved in enriching activities. Listing Agent: Kindra Mcmahon Listing Office: Laguna Premier Realty Inc.
An exquisite delight with a unobstructed view! 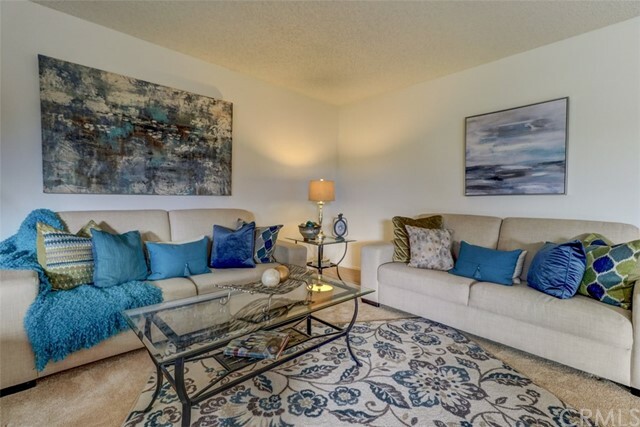 2 bedrooms, 2 bath, end unit el mirador features bamboo wood flooring in the living room, dining room and both bedrooms. Tile flooring from the foyer through the hall, kitchen and baths. Smooth ceilings, crown molding, granite counters, ceiling fans, dual pane windows, and plantation shutters. There are sliding doors that lead to the enclosed balcony that adds ample room for entertaining and to enjoy your favorite evening drink and watch the beautiful sunsets. The kitchen offers tile flooring, recess lighting, granite counters and high end stainless appliances. The master bath has granite vanity tops, beveled mirrored surrounding the vanity area with unique tile in the tub area. Laguna woods village offers many amenities and activating:27 hole golf course as well as a 9 hole executive golf courses. Enjoy a meal at 19th restaurant or your favorite drink at the friendly atmosphere bar. There is a driving range, tennis courts, 2 fitness centers, lawn bowling, equestrian center were you can board your horse, library, state of the art theater, 7 clubhouses, 5 pools, and walking trails. Over 200 social clubs, many craft studio's that have knowledgeable volunteers and much more! Free bus service that provides residents with transportation within the community and to local shopping centers, restaurants,and medical facilities. All this and only 5 miles from beautiful laguna beach.